Speak Truth (Out of Love) – Tougher than it sounds. That doesn’t mean you should always say what you are thinking. Before speaking truth, ask yourself if you are doing it to help the other person or to hurt them. Sometimes saying something honestly will hurt in the short term, but help in the long term. Before you speak, THINK. Is it True, is it Helpful, is it Inspiring, is it Necessary, is it Kind?Love is certainly more complicated than these few examples, but in this season of lovey-dovey everything, let’s keep a little perspective on what true love looks like. Love is not easy. Love is not bought. Love can’t be earned by getting run over. Love seeks the best for others, and for us. Love displays itself through healthy and well-rounded relationships.But you might still want to make sure you buy those flowers!Written by Michael Sweeney, LPC. If you or a loved ones is seeking therapy for your family or marital concerns, please contact us at Innovation360. https://i360austin.com/wp-content/uploads/2016/05/001-Innovation360-Dallas.png 320 720 administrator https://i360austin.com/wp-content/uploads/2016/06/Innovation-360-main-logo-final-300x138-2.png administrator2016-05-04 20:17:392016-08-26 19:24:30What is Love? https://i360austin.com/wp-content/uploads/2016/05/001-Innovation360-Dallas.png 320 720 administrator https://i360austin.com/wp-content/uploads/2016/06/Innovation-360-main-logo-final-300x138-2.png administrator2016-05-04 20:08:422016-08-26 19:28:05Marriage Killers: Are You Sabotaging Your Own Marriage? 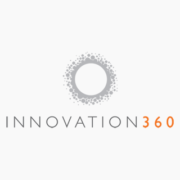 https://i360austin.com/wp-content/uploads/2016/05/001-Innovation360-Dallas.png 320 720 administrator https://i360austin.com/wp-content/uploads/2016/06/Innovation-360-main-logo-final-300x138-2.png administrator2016-05-04 19:55:252016-08-26 19:31:28Giving up or Letting Go?